Chittenango Landing is hosting our second annual Old Erie Canal Boat Float on Saturday, June 16th. Last year’s inaugural event was incredibly successful and this year we expect it to be even bigger! 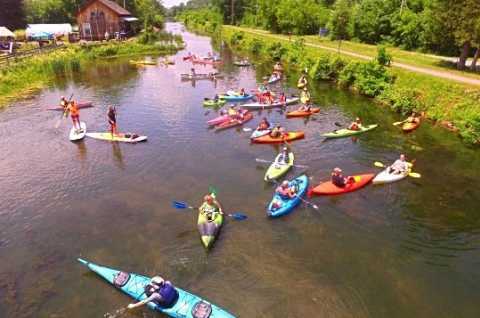 The event itself is based around paddlers using kayaks, canoes, paddle boards, etc. to explore the canal from multiple entry points based off of mileage and difficulty. The Old Erie Canal Boat Float is FREE and signing up is not required, but we would love to know if you plan on paddling so that we can be ready for you. Register for the Old Erie Canal Boat Float.